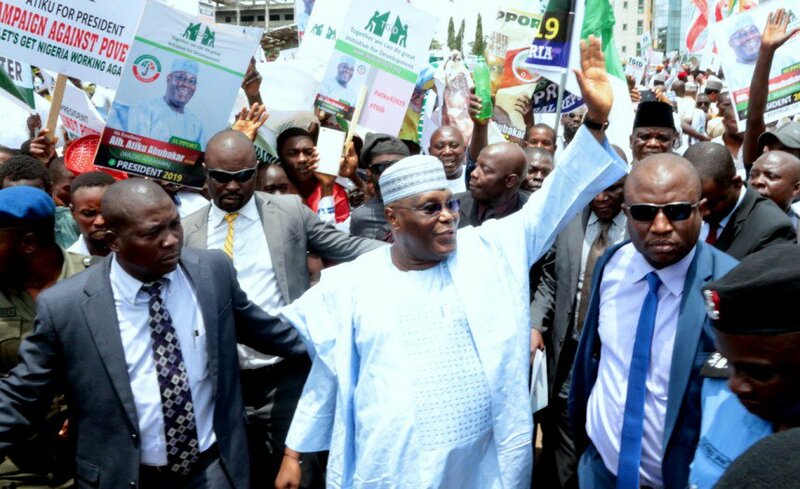 Over the course of the present election cycle, some of the discourse has been centered around the travel status to America of former Vice President and current presidential aspirant, Atiku Abubakar. To clarify, here are answers to some of the questions on our lips. Why couldn’t Atiku travel to the U.S? 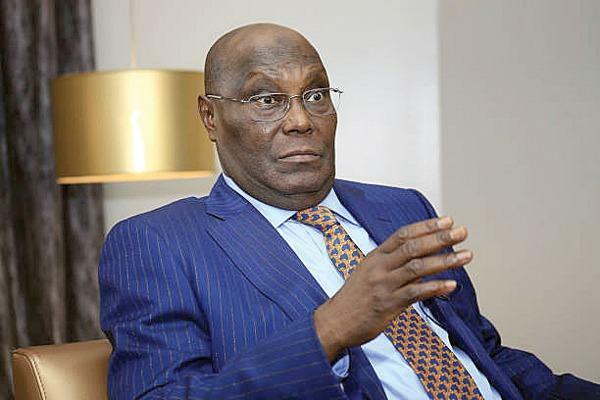 Atiku’s issues with the U.S. date back to his tenure as Nigeria’s Vice President between 1999 and 2007. In 2004, Atiku was barred by then President Bush from being issued visas to the United States alongside other corrupt Politically Exposed Persons (PEP). The Atiku ban from the United States followed a probe by the U.S Senate of corrupt practices in the Third World and its negative effects on the development of government, democratic principles, and the rule of law. A bit of clarity as the possible reason for the ban came from the revelation of a report by the Politically Exposed Persons (PEP) committee in 2010. The reports alleged nefarious activities involving Jennifer Douglas a U. S citizen and fourth wife of Atiku. According to allegations by U.S. Senate investigators, Jennifer Douglas assisted Atiku with bringing over $40 million in “suspect funds” into the United States through wire transfers sent by offshore shell companies to U.S. bank accounts. The reports also revealed the U.S. Securities and Exchange Commission alleged the receipt of over $2 million in bribe payments in 2001 and 2002 to Jennifer Douglas, from Siemens AG, a major German corporation. Siemens pled guilty to bribery charges in 2008 and agreed to pay a $1.6 billion fine. For all the allegations, Atiku has repeatedly denied the involvement of himself and his wife. He has been quick to point out that neither he nor his wife have faced any criminal charges in the United States. So he finally went in January. What did he do? The primary purpose of Atiku’s trip to Washington two weeks ago was meeting with top U.S diplomats and lawmakers. During the course of the trip, he met with Tibor Nagy, the United States Assistant Secretary of State for African Affairs, which was made possible by one of the U.S lobbyist firms representing him, Ballard Partners. The significance of his meeting with Nagy was to show that the United States wanted to be seen as being free and fair in its dealings with a central character to the upcoming elections. 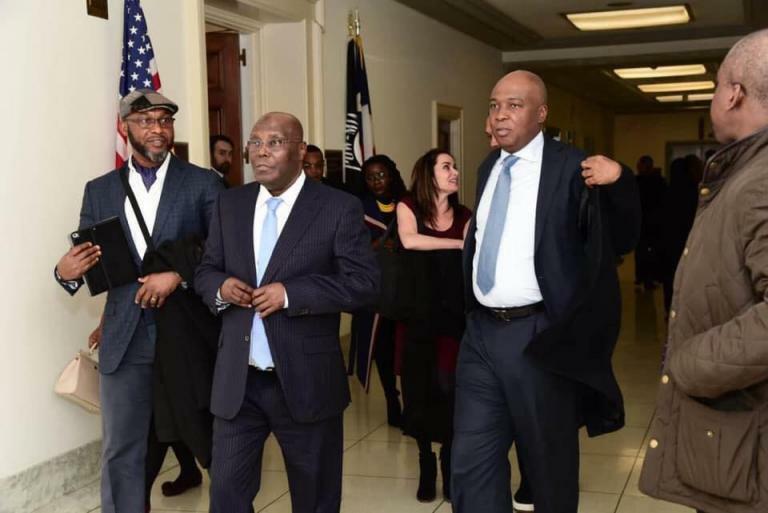 Atiku also met with business leaders at the U.S. Chamber of Commerce and a few lawmakers in the House of Representatives who specialize in foreign affairs, Representative Michael McCaul of Texas and Representative Chris Smith of New Jersey. He also met with several Nigerian expatriates. How was he able to get in? 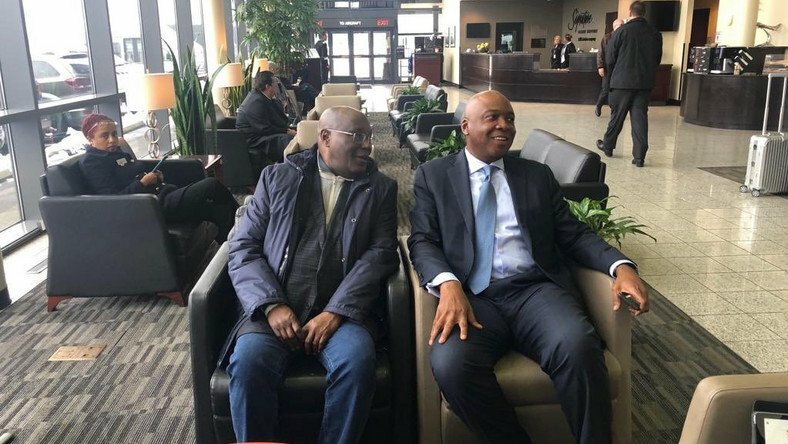 As reported by Reuters, Atiku’s ability to gain temporary entrance into the United States came as a result of the work of two U. S lobbying firms for whose services the presidential candidate paid quite handsomely. In December, Atiku personally sought the services of Holland & Knight in order to secure a visa. According to a lobbyist for the firm, members of Congress were enlisted to request one on his behalf. The firm has been paid $80,000 so far. Ballard Partners was also hired by Atiku’s political party, People’s Democratic Party (PDP), for a fee of $90,000 per month in September 2018, according to U.S. disclosure filings.